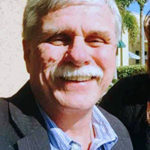 Paul Neitman, LMSW, MSW brings over 35 years of experience in the health and human service field, to the nationally-recognized OPEN MINDS Consulting Practice. He currently serves as Senior Associate, leading projects in regards to his specific expertise. Mr. Neitman also has extensive board development and membership experience, through his own organization and volunteering in numerous other organizations. Throughout his career at Holy Cross, initially serving as a treatment specialist, Mr. Neitman served in both clinical and business leadership positions. This included executive responsibilities for two acquisitions — an inpatient substance abuse treatment organization and a counseling organization. During these acquisition activities, he served on the due diligence committee where he lead the initiative to integrate the two organizations into Holy Cross Children’s Services. Additionally, Mr. Neitman led Holy Cross Children’s Services strategic planning initiatives for the last twenty years of his career. In a concurrent position contracted with Holy Cross Children’s Services, Mr. Neitman acted as Chief Executive Officer for Catholic Charities of Monroe County (Michigan). His duties included overseeing all clinical programs, payer relationships, community relations and development, as well as designing and implementing their strategic planning initiatives. Mr. Neitman was instrumental in setting up the organization’s first foundation, the Holy Cross Children’s Services Foundation, in 2009. Mr. Neitman also led a multi-year initiative to create the Samaritan Center — a one-stop human service center in Detroit, Michigan. The Samaritan Center provides a variety of services to the neighborhood — urgent care, health care, dental services, behavioral health, skilled nursing services, job training, an alternative high school, and more — through collaborations with 80 other local health and human service organizations. Now in operation for over 15 years, the Samaritan Center and its partners have a combined annual operation budget of nearly $100 million, employ nearly 1,000 staff members, and serve over 7,000 neighborhood residents on a weekly basis. Throughout his career, Mr. Neitman has been heavily involved with the design, funding, development, and operation of charter schools in both Michigan and Ohio, focusing on the needs of at-risk youth. He also led the proposal development of a college-preparatory academy for foster care youth. In the ongoing operation of these charter schools, Mr. Neitman has served in a number of governance and management roles, including board member and board chairman roles. Mr. Neitman holds a Masters of Social Work Administration from the University of Michigan, and earned his Bachelor’s degree at the Miami University of Ohio. Mr. Neitman is also a Licensed Master Social Worker within the State of Michigan, in both macro and clinical settings.